Chairman and Chief Executive Officer United Parcel Service, Inc.
David Abney is currently chairman and chief executive officer of United Parcel Service, Inc. ("UPS"), a multinational package delivery and supply chain management company, roles he has held since 2016 and 2014, respectively. Previously, he served as chief operating officer since 2007, with responsibility for logistics, sustainability, and engineering across all facets of the UPS transportation network, which serves more than 220 countries and territories and includes a ground fleet of more than 96,000 vehicles and an air fleet of more than 500 aircraft. 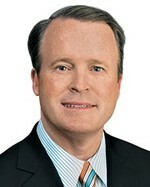 Prior to serving as chief operating officer, Abney was president of UPS International. Earlier in his career, he served as president of SonicAir, a same-day delivery service. Abney serves on the board of Catalyst, an organization working to accelerate and advance women, including women of color, into senior leadership and board positions, and was elected as the 2019 chairman of the Metro Atlanta Chamber of Commerce. He holds a bachelor's degree in business administration from Delta State University. Francis S. Blake has extensive leadership experience and expertise as a former chief executive officer and senior executive of large publicly-traded companies with global operations. He has an extensive background in strategy and general management of large organizations and significant knowledge of the retail consumer industry, supply chain, merchandising, customer service, growth initiatives, and evolving market practices. Blake has several years of valuable experience as a public company board member and expertise in finance, risk management, strategy and governance through his service on board committees. 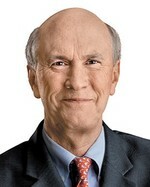 Blake served as chairman of The Home Depot, Inc. from January 2007 until his retirement in February 2015, as chief executive officer of The Home Depot, Inc. from January 2007 to November 2014, and as vice chairman of The Home Depot, Inc. from October 2006 to January 2007. From 2002 to January 2007, Blake also held the position of executive vice president - Business Development and Corporate Operations of The Home Depot, Inc. In this position, Blake was responsible for the company's real estate, store construction, credit services, strategic business development, growth initiatives, and international and home services businesses. Prior to his affiliation with The Home Depot, Blake served in a variety of executive positions at General Electric Company from 1992 to May 2001, including as senior vice president, Corporate Business Development in charge of all worldwide mergers, acquisitions and dispositions and identification of strategic growth opportunities. Blake has also held the title of U.S. Deputy Secretary of Energy from May 2001 to March 2002. John A. Bryant has many years of leadership experience and expertise as a chief executive officer, chief financial officer, and senior executive of a large public company with global operations. He has extensive knowledge and expertise in accounting and financial matters, branded consumer products and consumer dynamics, crisis management, international markets, people management, the retail environment and strategy, and strategic planning. In addition, Bryant has several years of valuable experience as a public company board member. 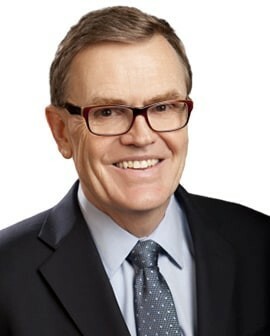 He was former chairman of the board of Kellogg Company from July 2014 to March 2018 and retired as president and chief executive officer of Kellogg Company in October 2017, having served in that role since January 2011. Bryant was also a member of the board of Kellogg Company from July 2010 to March 2018. He has held various operating roles, including president Kellogg International, president Kellogg North America, and chief operating officer, Kellogg Company, from December 2006 through January 2011. Bryant served as chief financial officer of Kellogg Company from February 2002 until June 2004 and again from December 2006 through December 2009. He joined Kellogg Company in 1998 and was promoted during the next four years to a number of key financial and executive leadership roles. Bryant has also been a trustee of the W. K. Kellogg Foundation Trust since 2015. Deirdre P. Connelly has many years of leadership experience and expertise as a senior executive of large publicly traded companies with global operations. She has extensive knowledge and expertise in strategy, operations, product development, brand marketing and merchandising. In addition, as a former human resources executive, Connelly also has valuable insight in managing a large-scale, diverse workforce. From February 2009 until her retirement in February 2015 she was president of North American Pharmaceuticals of GlaxoSmithKline, a global pharmaceutical company. Before that, she was president of U.S. Operations of Eli Lilly and Company from June 2005 to January 2009. Connelly also served as the senior vice president of Human Resources of Eli Lilly and Company from October 2004 to June 2005. 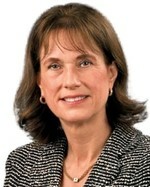 From 2003 to October 2004 she was the executive director, Human Resources of U.S. Operations of Eli Lilly and Company. 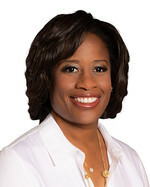 She has also been Leader of Women's Health Business - U.S. Operations of Eli Lilly and Company from 2001 to 2003. 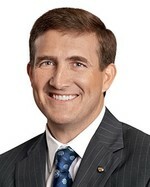 Jeff Gennette was elected chief executive officer of Macy's, Inc. in March 2017 and assumed the role of chairman in February 2018. 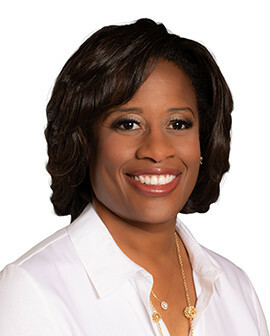 Gennette previously held the role of president of Macy's, Inc. from 2014 through August 2017. Prior to that, he was the chief merchandising officer of Macy's, Inc., a position to which he was appointed in February 2009. Gennette began his retail career in 1983 as an executive trainee at Macy's West in San Francisco. He held positions of increasing responsibility, including vice president and division merchandise manager for men's collections, and senior vice president and general merchandise manager for men's and children's. In 2004, Gennette was appointed executive vice president and director of stores at Macy's Central in Atlanta. During his career, he also served as a store manager for FAO Schwarz and director of stores for Broadway Stores, Inc. From February 2006 to February 2008, Gennette served as chairman and chief executive officer of Seattle-based Macy's Northwest. 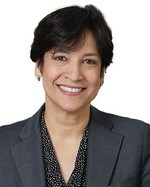 Gennette returned to San Francisco from February 2008 to February 2009 as chairman and CEO of Macy's West. Gennette is the chairman of the NRF Foundation board of directors and a member of the NRF executive committee. Gennette, a native of San Diego, is a graduate of Stanford University. Leslie D. Hale has many years of leadership experience and expertise as a senior executive of large public companies. She has extensive knowledge and experience in a wide range of financial disciplines, including corporate finance, treasury, real estate, and business development. In addition, through her positions with RLJ Lodging Trust, General Electric and Goldman Sachs, Hale also has expertise in investor relations, risk management, long-term strategic planning and mergers, and acquisitions. Hale has served as president and chief executive officer of RLJ Lodging Trust, a publicly traded lodging real estate investment trust, since August 2018. From August 2016 to August 2018 she was executive vice president, chief operating officer and chief financial officer and from February 2013 to July 2016 she was the chief financial officer, treasurer, and executive vice president of RLJ Lodging Trust. Before that, Hale was the chief financial officer, treasurer, and senior vice president of RLJ Lodging Trust from May 2011 through January 2013. She has also held the title of chief financial officer and senior vice president of Real Estate and Finance of RLJ Development from September 2007 until the formation of RLJ Lodging Trust in 2011. From 2006 to September 2007 she was the vice president of Real Estate and Finance for RLJ Development. And she was also the director of Real Estate and Finance of RLJ Development from 2005 to 2006. From 2002 to 2005, Hale held several positions within the global financial services divisions of General Electric Corp., including as a Vice President in the business development group of GE Commercial Finance, and as an associate director in the GE Real Estate strategic capital group. Prior to that, she was an investment banker at Goldman, Sachs & Co.
President and Chief Executive Officer, Four Corners Property Trust, Inc.
William H. Lenehan has many years of investment and leadership experience in the real estate industry, both in public companies and private assets. Specifically, Lenehan has relevant experience in monetizing real estate held by operating companies. Lenehan has several years of valuable experience as a public company executive and board member and expertise in strategy, finance, and corporate governance through his service on board committees. He has held the title of president and chief executive officer of Four Corners Property Trust, Inc., a real estate investment trust, since August 2015. From June 2012 to 2014 he was special advisor to the board of directors of EVOQ Properties, Inc., an owner of a substantial portfolio of development assets in downtown Los Angeles, California. Lenehan was also interim chief executive officer of MI Developments, Inc. (now known as Granite Real Estate Investment Trust), a real estate operating company with a global net lease portfolio, from June 2011 to December 2011. Before that, he was an investment professional at Farallon Capital Management LLC, a global institutional asset management firm, from August 2001 to February 2011. At Farallon Capital Management, Lenehan was involved with numerous public and private equity investments in the real estate sector. Sara Levinson has many years of leadership experience and expertise as a former senior executive of several major consumer-oriented companies in the publishing, entertainment, and sports licensing industries. She has extensive knowledge and expertise in marketing, merchandising and trademark licensing. In addition, she has expertise in social networking, e-commerce, and technology innovation. Levinson has several years of valuable experience as a public company board member and expertise in strategy, governance and executive compensation through her service on board committees. Since April 2013, she has been the co-founder and a director of Katapult (formerly known as Kandu), a digital entertainment company making products for today's creative generation. She was also a non-executive chairman of ClubMom, Inc., an online social networking community for mothers, from October 2002 until February 2008. Levinson has also held the title of chairman and chief executive officer of ClubMom from May 2000 through September 2002. 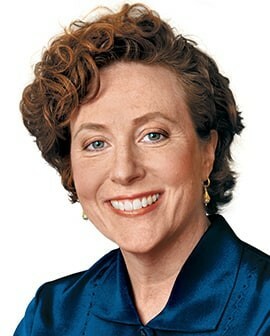 She was president of the Women's Group of publisher Rodale, Inc. from October 2002 until June 2005. Additionally, Ms. Levinson was president of NFL Properties, Inc. from September 1994 through April 2000, where she oversaw a $2 billion consumer products and e-commerce division, corporate sponsorship, marketing, special events, club services, and publishing. 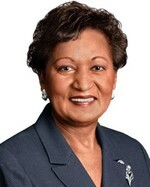 Joyce M. Roché has extensive leadership experience and expertise as the former chief executive officer of a national nonprofit organization and former senior executive of several consumer products companies. She has extensive knowledge and experience in general management and in the marketing and merchandising areas, as well as financial acumen developed from her executive officer positions. Roché has several years of valuable experience as a public company board member and expertise in risk, accounting, executive compensation, and governance through her service on board committees. From September 2000 through May 2010 she served as president and chief executive officer of Girls Incorporated, a national non-profit research, education and advocacy organization. She was an independent marketing consultant from 1998 to August 2000, and from 1996 to 1998 she was president and chief operating officer of Carson, Inc. Roché also held senior marketing positions with Carson, Inc., Revlon, Inc., and Avon, Inc.
Paul C. Varga has many years of leadership experience and expertise as the chief executive officer of a global, publicly traded consumer products company. He has extensive knowledge and experience in corporate finance, strategy, building brand awareness, product development, marketing, distribution, and sales. In addition, Varga has several years of valuable experience as a public company board member. 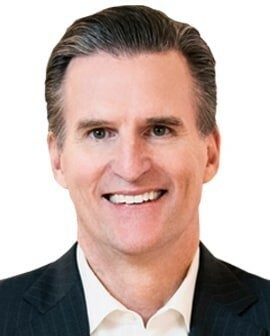 He served as chairman of Brown-Forman Corporation, a spirits and wine company, from August 2007 to January 2019 and chief executive officer from 2005 to January 2019. From 2003 to 2005 he was president and chief executive officer of Brown-Forman Beverages (a division of Brown-Forman Corporation). 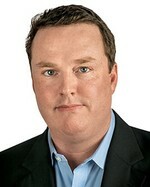 He was also global chief marketing officer for Brown-Forman Spirits from 2000 to 2003. Marna C. Whittington has many years of leadership experience and expertise as a former chief executive officer and senior executive in the investment management industry. She has extensive knowledge and experience in management, and in financial, investment and banking matters. In addition, Dr. Whittington has several years of valuable experience as a public company board member and expertise in finance, risk, accounting, strategy, and governance through her service on board committees. From 2002 until her retirement in January 2012 she was chief executive officer of Allianz Global Investors Capital, a successor firm of Nicholas Applegate Capital Management. Allianz Global Investors Capital is a diversified global investment firm. Dr. Whittington was chief operating officer of Allianz Global Investors, the parent company of Allianz Global Investors Capital, from 2001 to 2011. Prior to joining Nicholas Applegate in 2001, Dr. Whittington was managing director and chief operating officer of Morgan Stanley Investment Management. Dr. Whittington started in the investment management industry in 1992, joining Philadelphia-based Miller Anderson & Sherrerd. From 1984 to 1992 she was the executive vice president and CFO of the University of Pennsylvania. Earlier, she had been first, budget director, and later, secretary of finance, for the State of Delaware.